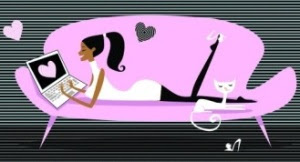 A new season can serve as inspiration to refresh your beauty regimen. 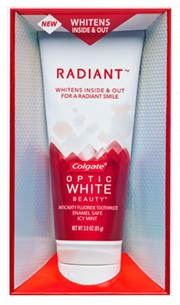 What better change to make than putting forth your most radiant white smile yet? To help you with your beauty routine as summer comes to a close, I'm sharing a few exclusive glam tips from makeup guru, Mario Dedivanovic, below. 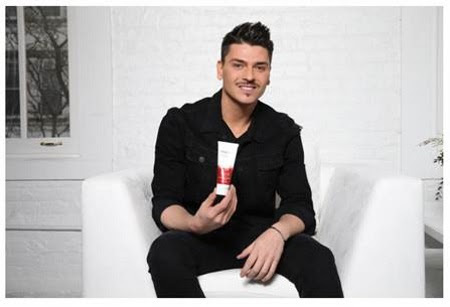 As you can see, one of his go to products is the new Radiant Toothpaste by Colgate Optic White – which helps whiten your teeth inside and out to reveal your most radiant white smile. It also includes a Pro-Oxide Complex, which contains hydrogen peroxide, the professionally recommended whitening ingredient to both whiten below the tooth surface and remove surface stains. It’s the modern twist on that dot journaling fits perfectly with our busy lifestyle. It’s a creative and colorful mix of daily planner, diary, and to-do list. Perfect for anyone who need to get organized! 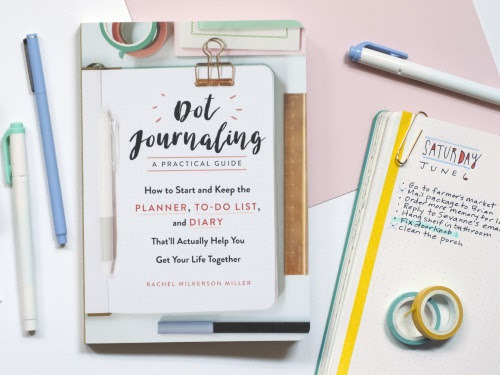 Early adopter Rachel Wilkerson Miller, a senior lifestyle editor and trend spotter at BuzzFeed, explains how to make a dot journal work for you. Rachel was one of the first to see this trend exploding. Accoutrements such as washi tape, book darts, and more! Entries must be made on or before 11:59 p.m. September 4, 2017. The Big Sick arrives on Digital HD September 5 and on Blu-ray™ Combo Pack (plus DVD and Digital HD), DVD and On Demand September 19 from Lionsgate. Based on the real-life love story between star and cowriter Kumail Nanjiani (“Silicon Valley,” Mike and Dave Need Wedding Dates) and his wife, The Big Sick features all-new bonus content including two behind-the-scenes featurettes, audio commentary, deleted scenes, and bonus footage from The Big Sick Comedy Tour featuring stand-up performances, Q&As, and backstage moments. The home entertainment release of The Big Sick will be available on Blu-ray Combo Pack ($39.99) and DVD ($29.95). The hilarious film takes a comical look at the clash of two cultures in a moment of crisis. Based on the real-life courtship between Kumail Nanjiani and Emily V. Gordon, The Big Sick tells the story of Pakistan-born aspiring comedian Kumail (Nanjiani), who connects with grad student Emily (Kazan) after one of his stand-up sets. However, what they thought would be just a one-night stand blossoms into the real thing, which complicates the life that is expected of Kumail by his traditional Muslim parents. When Emily is beset with a mystery illness, it forces Kumail to navigate the medical crisis with her parents, Beth and Terry (Hunter and Romano) who he's never met, while dealing with the emotional tug-of-war between his family and his heart. Filled with laugh-out-loud moments, the unconventional and authentic comedy also stars Oscar® winner Holly Hunter (Best Actress, The Piano, 1993), Emmy® winner Ray Romano (“Everybody Loves Raymond”) and Zoe Kazan (What If, Ruby Sparks). Co-written by Nanjiani’s wife Emily V. Gordon (“The Carmichael Show,” “Explored”), the film is directed by Michael Showalter (Wet Hot American Summer). Eugenio Derbez and Salma Hayek lead an all-star cast in HOW TO BE A LATIN LOVER, is now available on Digital HD and on Blu-ray™ (plus DVD and Digital HD), DVD and On Demand on August 15 from Lionsgate. How to Be a Latin Lover features exclusive bonus content, including over 30 minutes of deleted and extended scenes, two behind-the-scenes featurettes and audio commentary with director Ken Marino, producer Ben Odell and editor John Daigle. When aging Latin lover Maximo (Derbez) is suddenly dumped by the older woman he married for money, he moves in with his estranged sister Sara (Hayek) and her 10-year-old son, Hugo (Alejandro). Determined to return to the lap of luxury, Maximo uses Hugo to meet a rich widow—and learns that love and trust must be earned. Featuring a standout ensemble cast, including Rob Lowe (“Parks and Recreation”), Kristen Bell (Frozen), Raquel Welch (Legally Blonde), Rob Corddry (Hot Tub Time Machine) and Raphael Alejandro (“Once Upon a Time”). Entries must be made on or before 11:59 p.m. August 18, 2017. Experience Britney Spears’s rise to fame, from Mouseketeer to sold-out performances in Las Vegas, when Britney Ever After DVD (SRP: $14.98) arrives at Walmart on August 15 from Lionsgate. While I wasn't a major fan of Britney, I did enjoy her music and felt like her life circumstances and a few bad choices got the better of her. I think there's so much more to her then what the media showed. Sadly this DVD didn't really show this. For me anyway. I was hoping to see some parts of Britney life that wasn't so tragic. While towards the end we did get some positivity, for the most part this just went over a lot of the drama moments that surrounded the pop star. And the guys she dated, married and broke up with. Which I felt limited her. She did more then date Justin Timberlake! And sorry but the actress Natasha Bassett didn't really capture the feel of Britney. Again for me. But to give her credit, she did dance well. That made the performance moments highlights of the movie! So while your not going to learn anything new or deep from this Britney Ever After DVD, it does offer some moments that are entertaining. And if your into the drama of celebrity life then there's lots for you to watch. This dramatic scripted feature brings to life the heartfelt story of the pop sensation’s rollercoaster of fame leading up to her incredible comeback and her status as a cultural icon. Featuring the characters of Justin Timberlake, iconic boy band *NSYNC, and Kevin Federline. After watching an early screening of THE DARK TOWER, the film version of Stephen King’s book series, I left the theater with more questions about the films original story-line. I may be in the minority, given the recent critics reviews of the film, but if anything, the movie has made me want to read the novels to have a better understanding of the story arc and characters. Since I haven't read the novels, I went into the movie with no preconceptions. I found the movie very quick paced (an incredibly short 95 minutes!) but still entertaining for a fantasy action fan like myself. 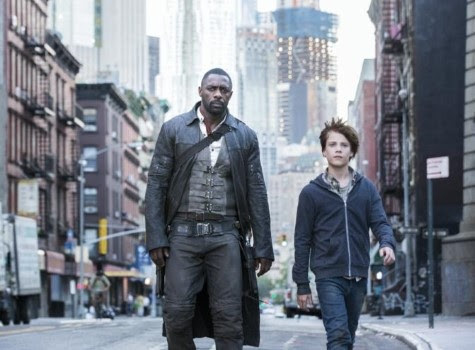 I enjoyed Idris Elba’s world weary Roland character and his interaction with Jake, as he became a somewhat reluctant mentor and guardian throughout the movie. There's also funny moments, when Jake takes him to ‘Keystone Earth’ from his Mid-World and has to show him how to blend in better. The action was quick paced and the special fx were fantastic, especially Roland’s ability to reload his guns. I think moviegoers will be entertained as long as you don’t start looking for explanations. There’s not a lot of exposition or backstory but there are gunfights, monsters and two very good looking lead actors if you are looking for a quick summer popcorn flick. The film is centered around a young boy Jake (Tom Taylor), a New York city teen with psychic abilities that envisions the Gunslinger Roland (Idris Elba), the Tower, and the Man in Black (MIB - Matthew McConaughey) who wants to destroy it. He believes otherworldly beings wearing human faces are kidnapping kids for the MIB to use their psychic abilities to blast psychic beams at the Tower. When they inevitably come for him, Jake uses his knowledge to escape and head through a multi-dimensional portal to find the Gunslinger, learn about the Tower and ultimately stop the MIB from destroying it.